Research is central to the University of Pretoria (UP)'s long-term vision. This is to be a leading research-intensive university in Africa, recognised internationally for quality, relevance and impact; as well as for developing people, creating knowledge, and making a difference locally and globally. UP recognises that research needs to transcend disciplinary boundaries, build strategic partnerships and networks, and act on the social responsibility of universities. Hence our establishment of Future Africa. This aims to be an outstanding premier Pan-African science platform for transdisciplinary research and transdisciplinary science leadership for innovation, taking science forward to create a more sustainable and equitable world. As a hub for African scholars, it will promote excellent and diverse multidisciplinary research by establishing multinational academic and leadership networks and communities, to conduct impactful future-focused research. Future Africa is based on the premise that such research to transform our world can and should be led by Africans, for Africa and for the world. In this regard, Future Africa extends an invitation to all sectors of society to partner with us to unlock the potential of Africa. Future Africa comprises an impressive campus, grounded in a vision in and for Africa, and set to shape our future through science. 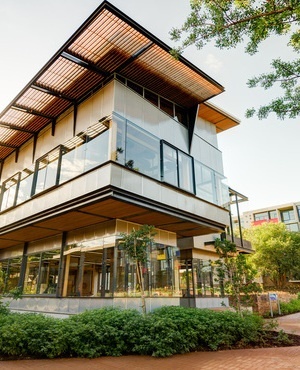 From its innovative infrastructure, to crop-based gardens and practical and aesthetic details – which have brought into synergy builders, artists, architects, botanists and environmentalists – the campus is now one of the jewels in the University of Pretoria's crown. It has already brought about new possibilities for translating science into practice and impact. The University’s strategic research priorities, and the research themes that capture Future Africa's vision of sustainability and equity, are at an advanced stage of development. Future Africa’s programmes focusing on the development of young science leaders are also well-established. The first basic premise of Future Africa's leadership programmes is that the quality of the leadership in the system to lead change is closely linked to the development of science capacity in Africa. The second is that next generation researchers are often unprepared for the complexities that an interconnected, interdisciplinary approach to science brings. Future Africa programmes are built on the recognition that there are significant obstacles to the integration of knowledge, and that this integration requires engagement across and beyond scientific boundaries. The newly established Early Career Research Leader Fellowship Programme (ECRLF) aimed at early career researchers and their supervisors, which offered its first workshop in February 2019. Future Africa brings recognition to the increasing global and interconnected nature of research, as well as the inter- and transdisciplinary research practices, driven by two pivotal shifts in science: the realisation within the broad science (and science policy) community that the challenges facing humanity are of a global nature and cannot be solved at local or individual scales alone; and related to this, that disciplinary interconnectedness is required, given the complexity of the problems, drawing on a network of expertise often from outside institutional and national boundaries. Taken together, this requires new science leadership and new transdisciplinary methods of doing science. 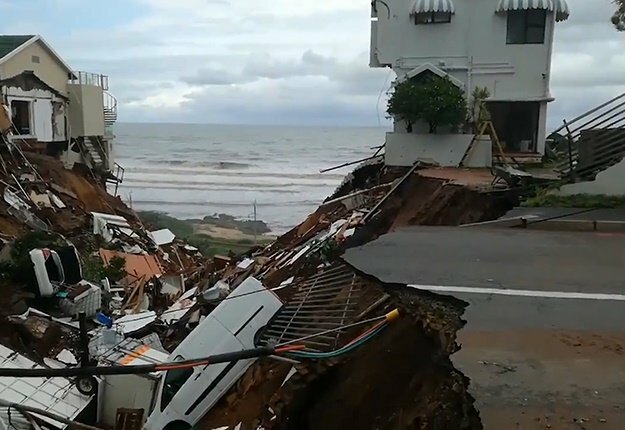 The key to accessing new networks of knowledge and expertise, and making it available to all African scholars, is having an inviting and conducive local environment — as Future Africa certainly is — and science leaders to give these connections local and continental grounding. Future Africa aspires to scholarship of the highest quality, which will contribute to global knowledge creation in the continuum of basic and applied sciences, recognising both the roles of talented individuals and the importance of an interconnected, team-based approach, creating new opportunities linking the best in Africa with the best around the world. It will create an environment that recognises that achieving excellence is a dynamic process, and it will nurture the development of thought leaders – not only as specialists in trained fields, but as leaders of integrative approaches to solving problems at institute, community, national and international levels and creating awareness of the value of diversity. Future Africa is a community, a hub, a home for scholars, and a physical meeting place. It provides the physical and intellectual environment for transformation-minded science leaders with a sense of social responsibility in Africa and the world, to advance transdisciplinary research and bring about transformative change, taking science forward to create a more sustainable and equitable world. This post and content is sponsored, written and provided by the University of Pretoria.